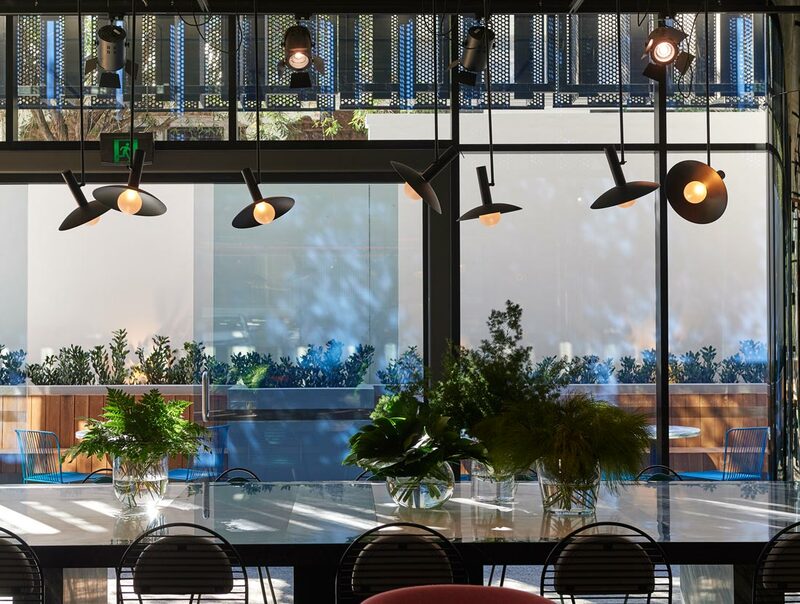 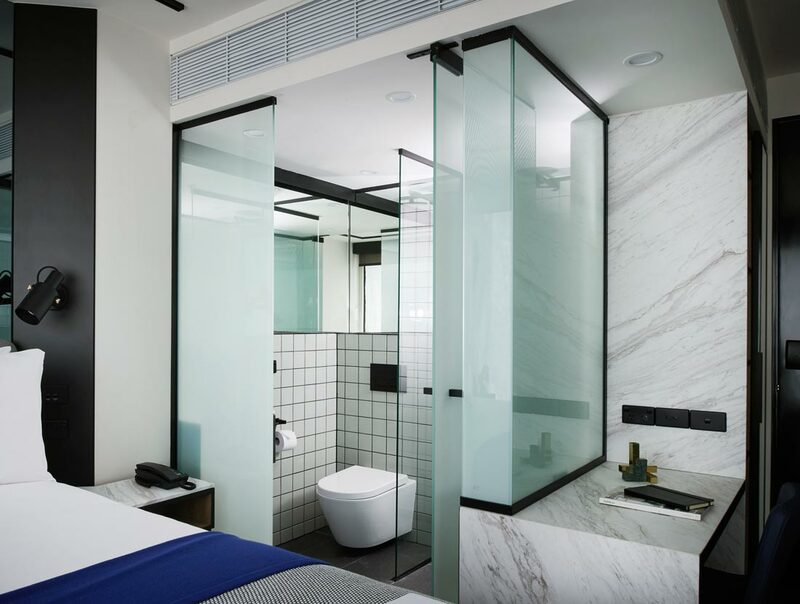 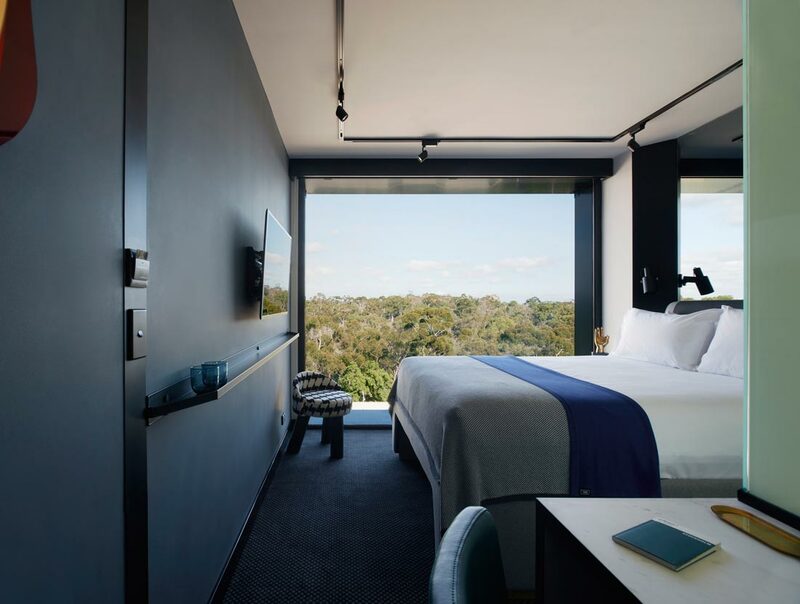 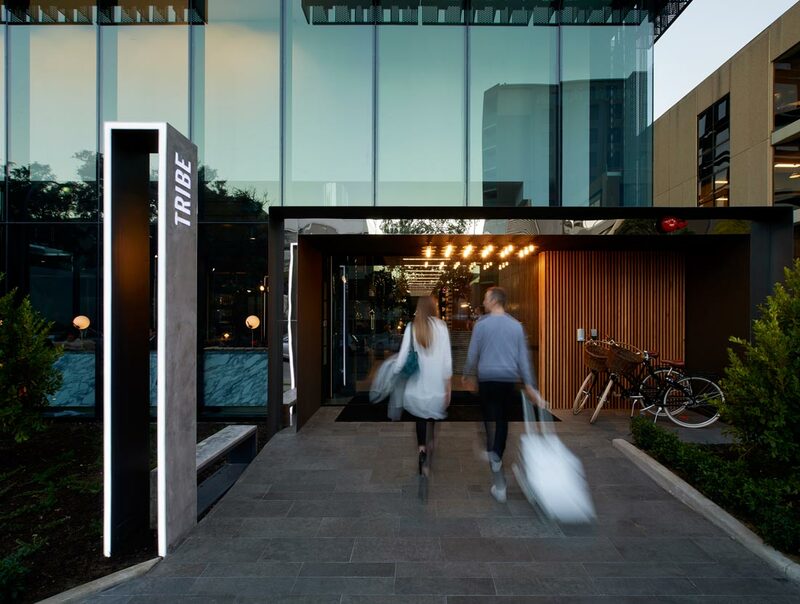 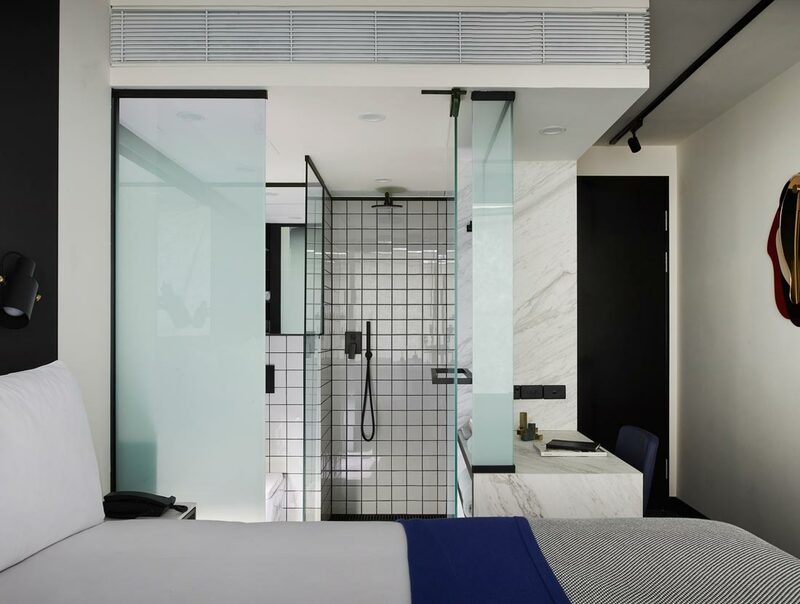 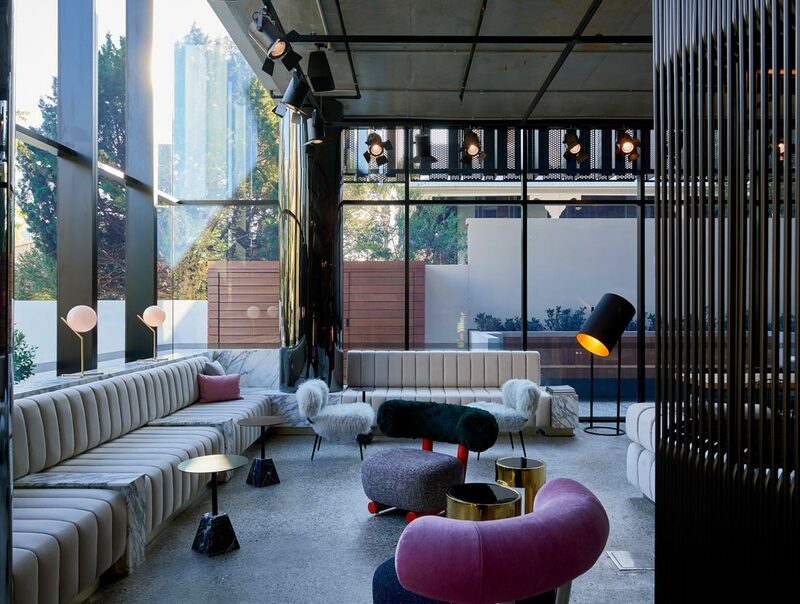 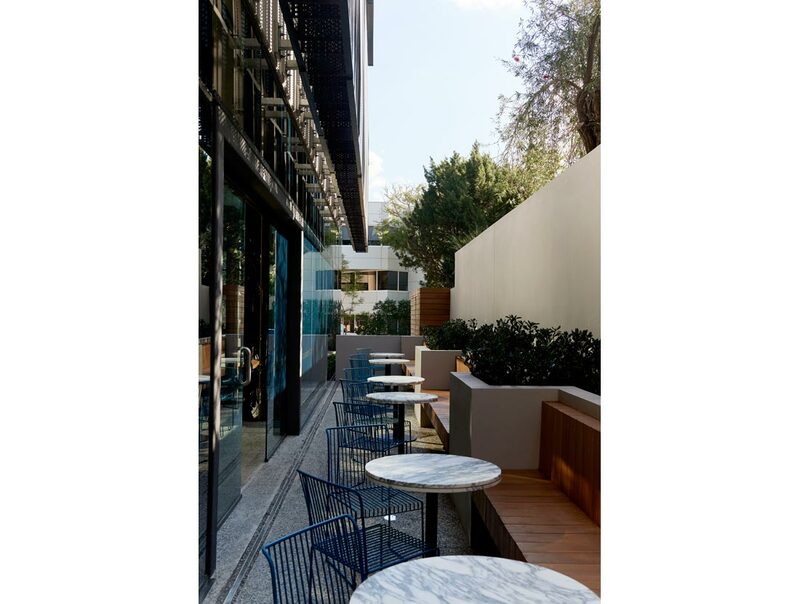 Since 2008 Idle Architecture Studio worked with MP Modular to fine-tune an innovative, design-focused module suitable for assemblage into a multi-level hotel – Tribe Perth is the first exciting incarnation. 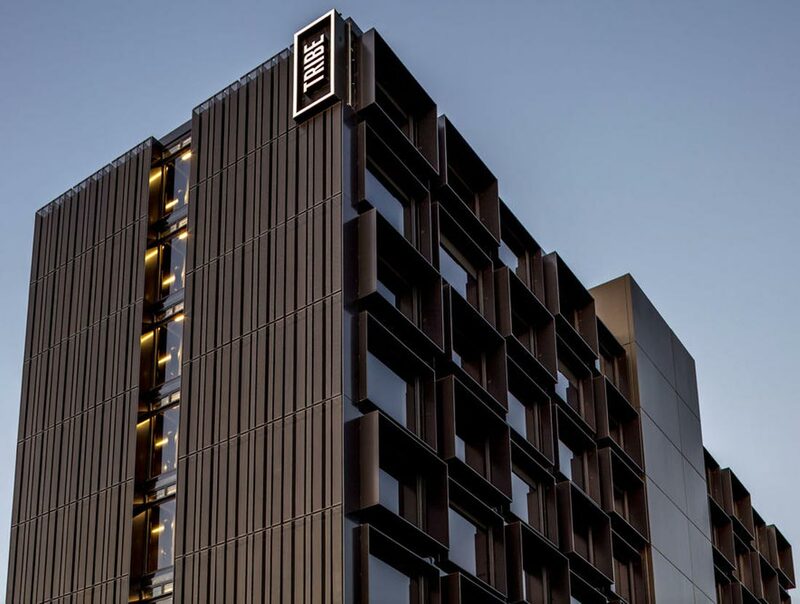 Once the podium was constructed the 63 prefabricated modules- each comprising two highly resolved hotel rooms and a central corridor- were assembled on site in just 14 days. 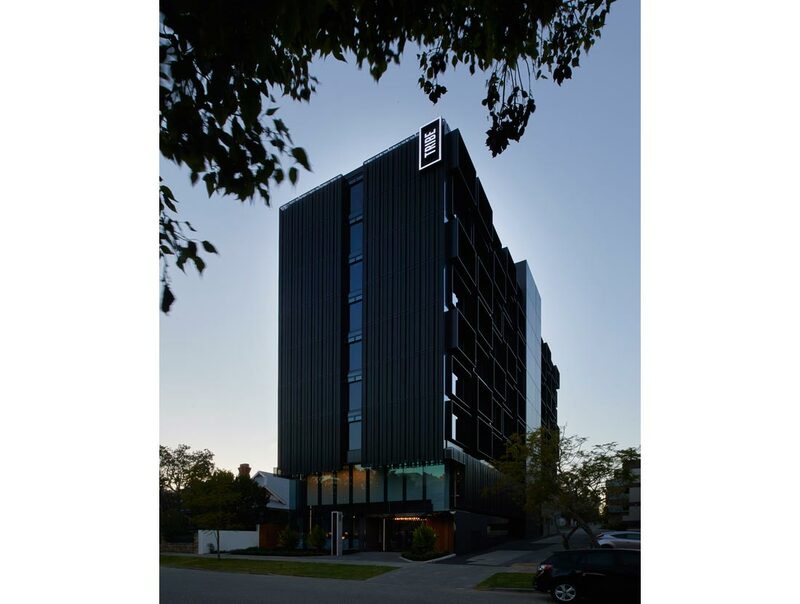 Services were integrated, shrouds unfolded, facade screens added, landscaping completed and the doors opened in June 2017. 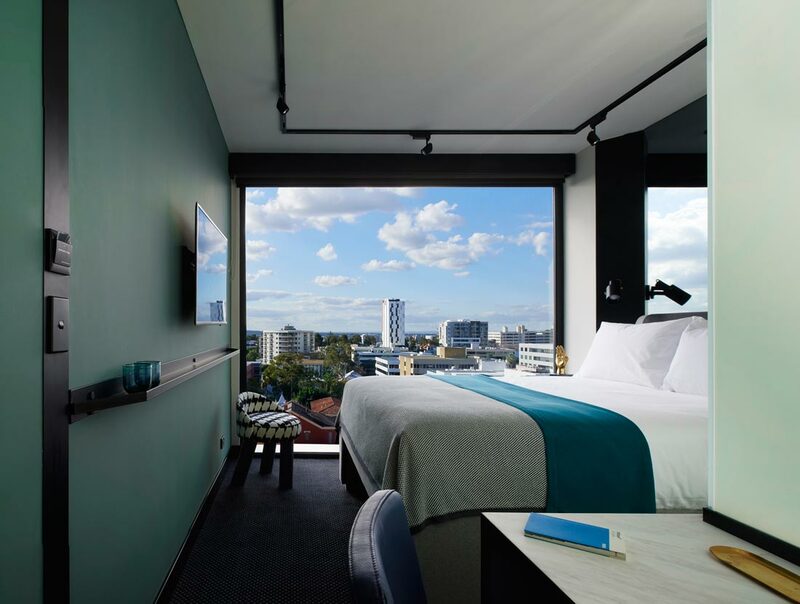 The efficient rooms are compact, thoughtfully detailed spaces featuring a full height and width window, offering expansive views of the inner city context. 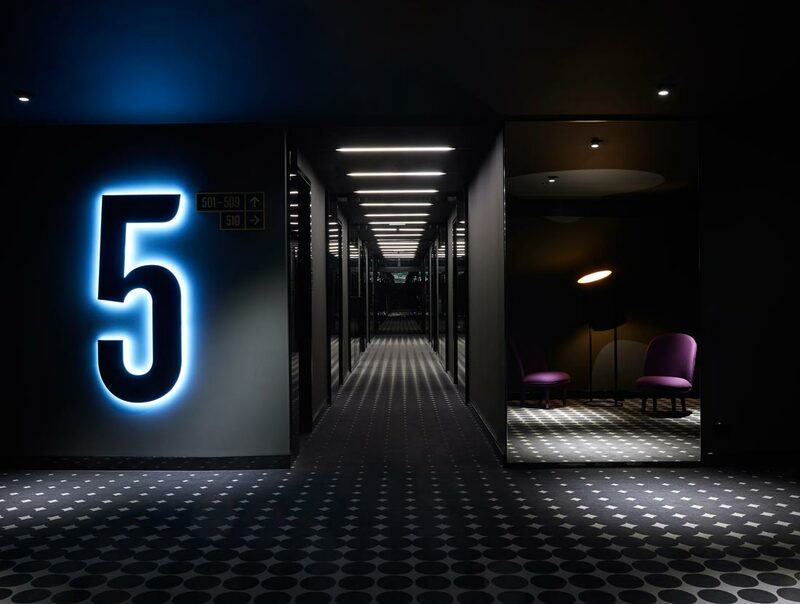 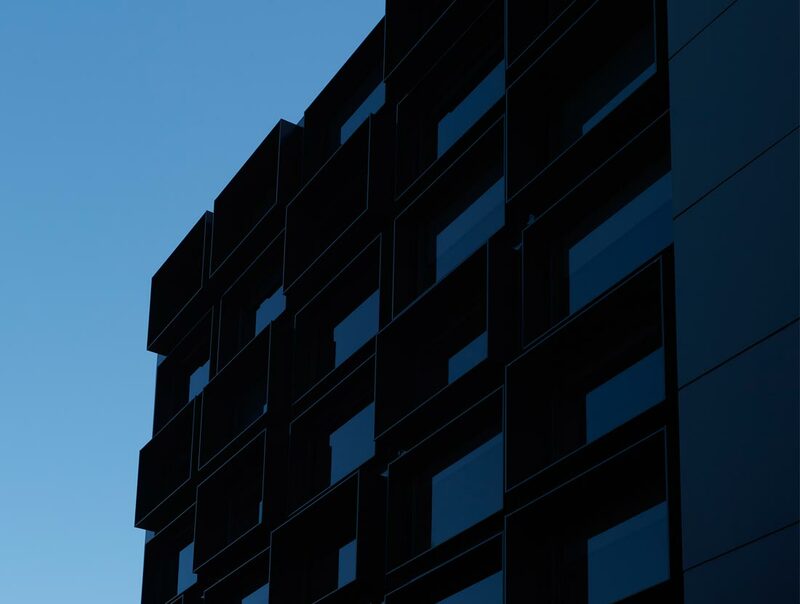 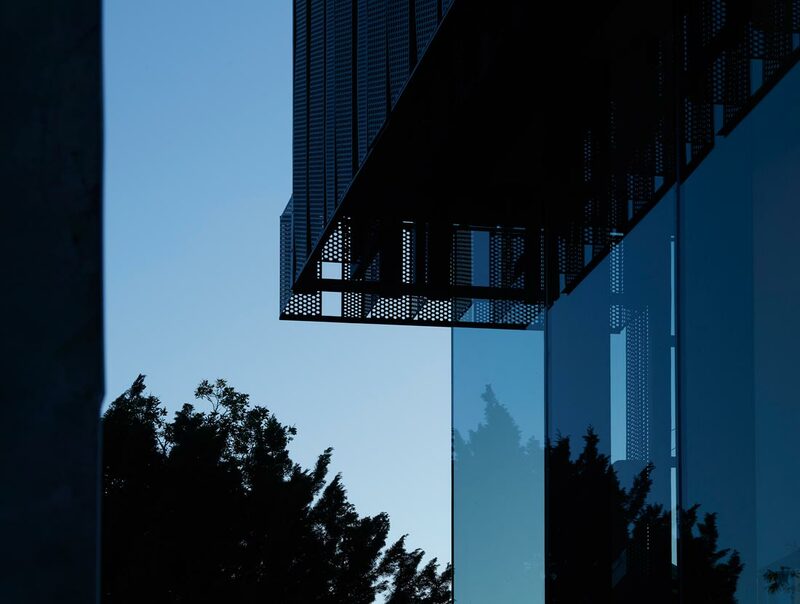 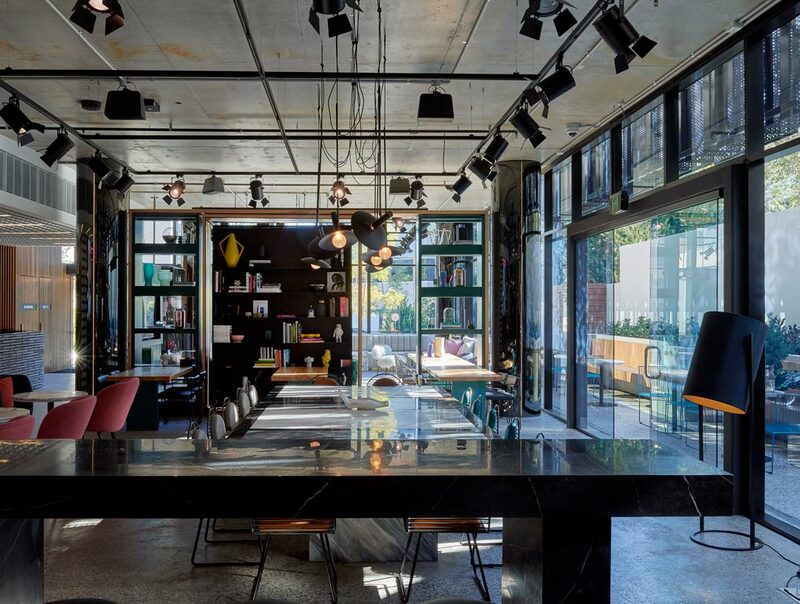 Not only was the process new and innovative but the resultant building is a striking form that belies its underlying modular roots and stands proudly as a symbol of Tribe’s innovative entry into the hotel market.